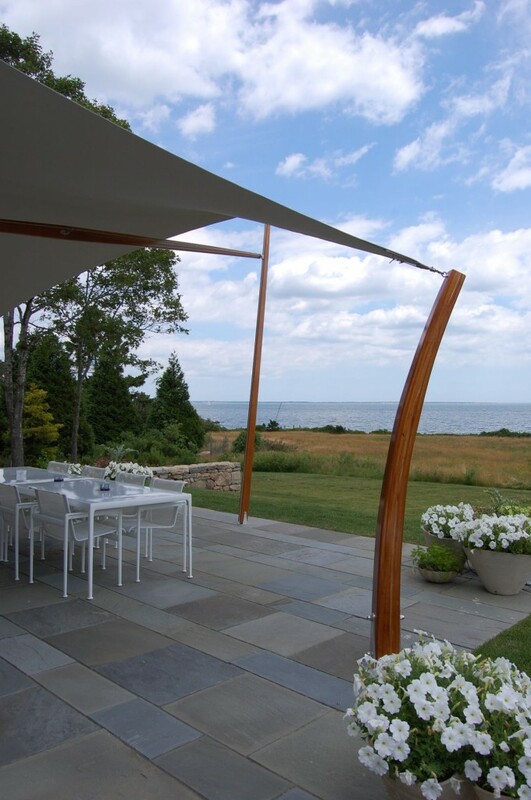 One of our favorite new tension awnings is a made from Herculite Natura vinyl in Antique White, giving shade to a home patio in Nonquitt, MA. It was installed late this spring, and we could not be happier with its graceful lines and magnificent mahogany posts and beams. We have been using Natura cloth more and more lately – while it is heavy to work with, it is extremely durable and capable of withstanding quite a lot of abuse from the elements. Waterproof and UV protected, it has a limited warranty of 8 years from the company that produces it. 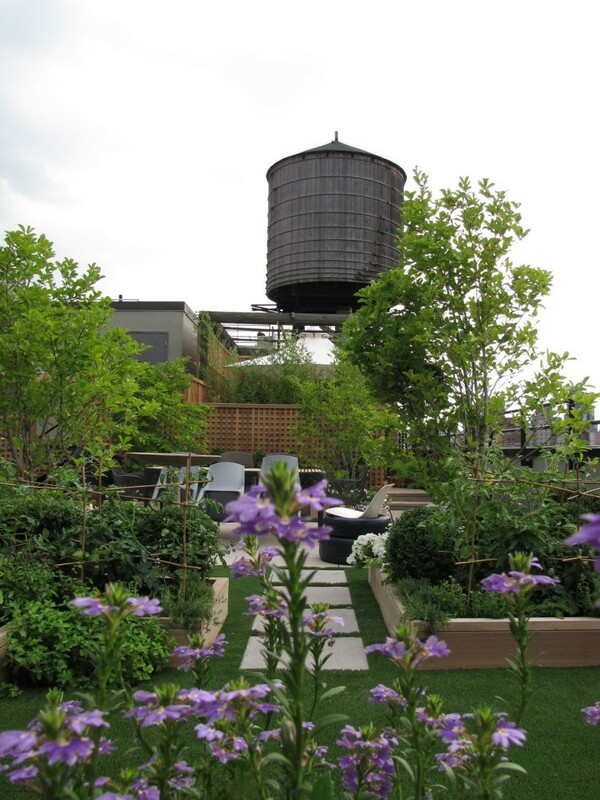 The day of the installation was full of clouds and fog – we have some photos from that day, too, but the ones I am using for this post really do justice to the whole outdoor space. Our very own Robin took these lovely photos on a beautiful day. Since she constructed all of the mahogany spars, we thought it was only fair to send her out with a camera to see how it all went! The red doors and white trim complement the ultra-nautical feel of the awning very well. The high house attachments for awning corners, and significant angles should provide excellent coverage from both rain and unwanted UV rays. As a self-proclaimed awning enthusiast (is there a magazine called Awning Fancy? 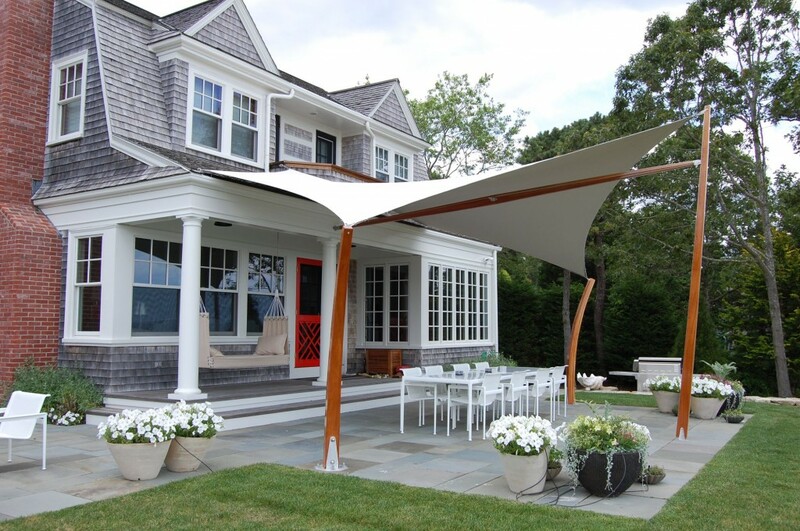 ), I think the view of house and awning together is just exquisite. Well. . . the view from under the awning isn’t so bad, either. As ever, you can contact us through the comments on this blog, by following the links on our website, or by calling us at 774.849.3505. Stay cool! A view any city-lover would admire! 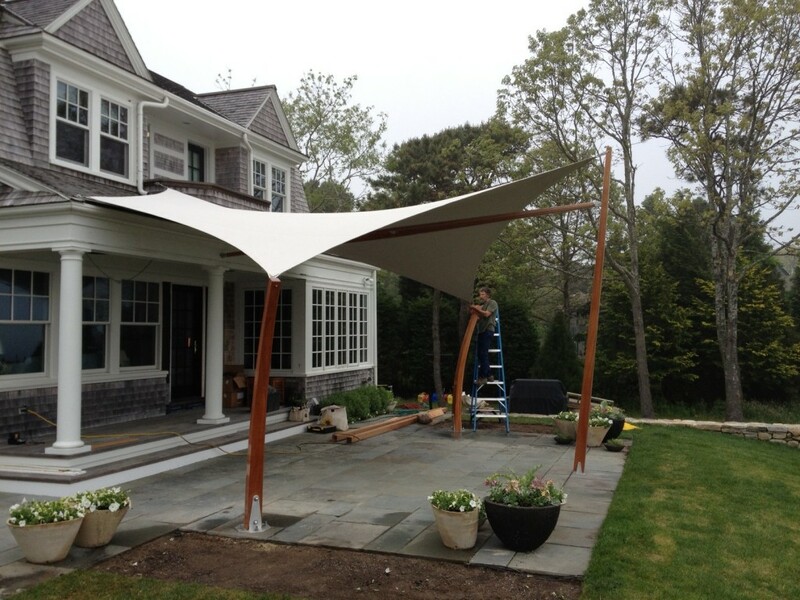 This unusual new hybrid of a tension awning and a custom canopy was installed two weeks ago. 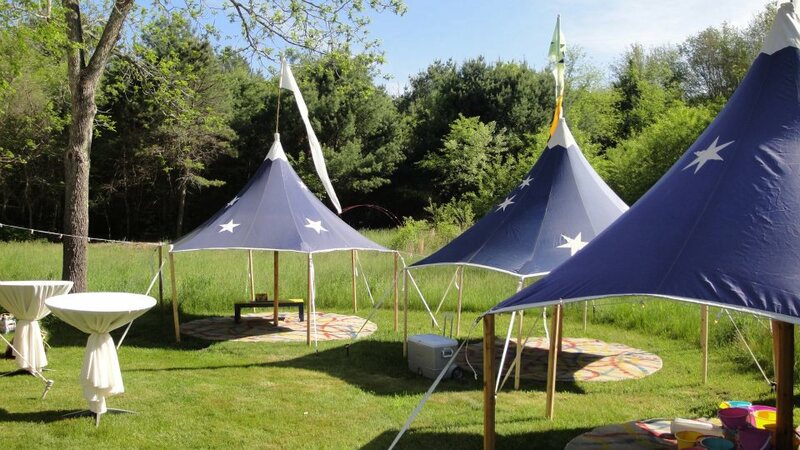 It resembles the tents of our Savannah Series, with tiny clerestory windows that allow light and a light breeze to enter between canopy and cupola. 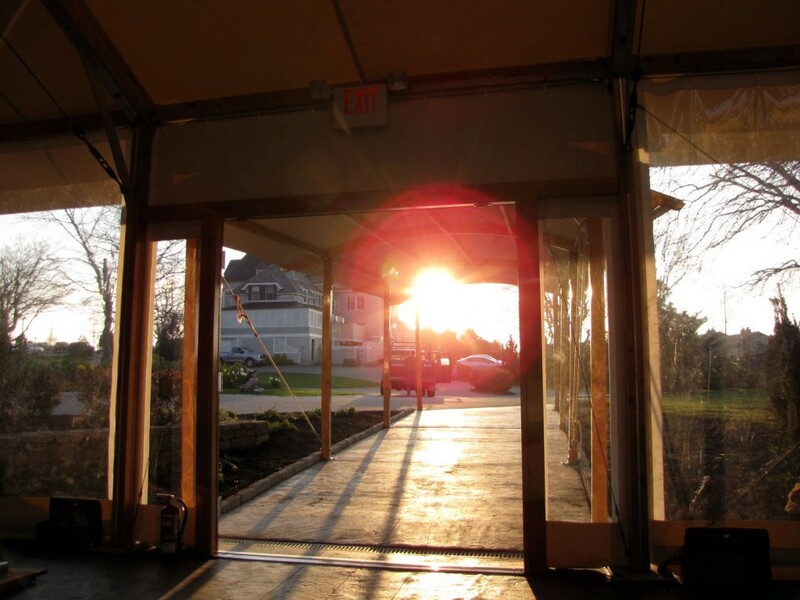 In large engineered tents a more rigid framed structure is necessary for stability. At this size, evenly distributed tension and great angles do the work for us! 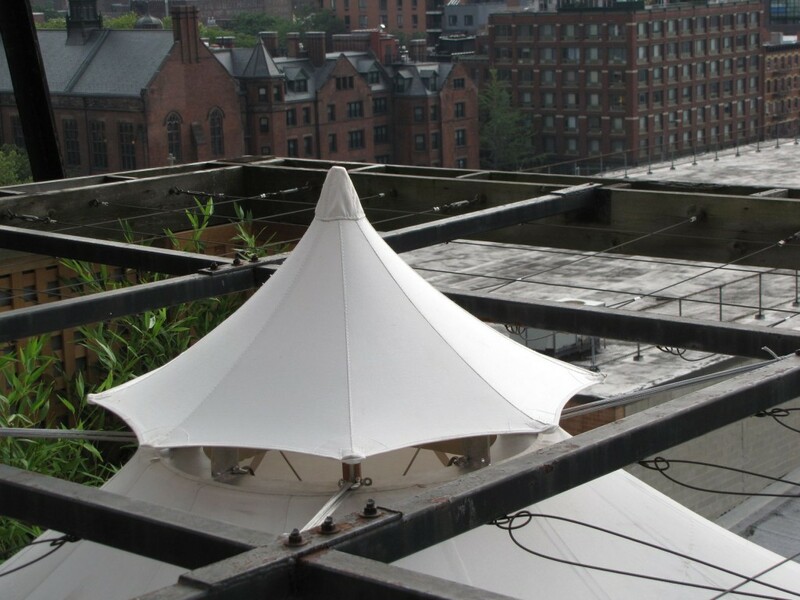 The canopy shelters a beautiful seating area, floating aloft with tension attachments above and below the perimeter edge. 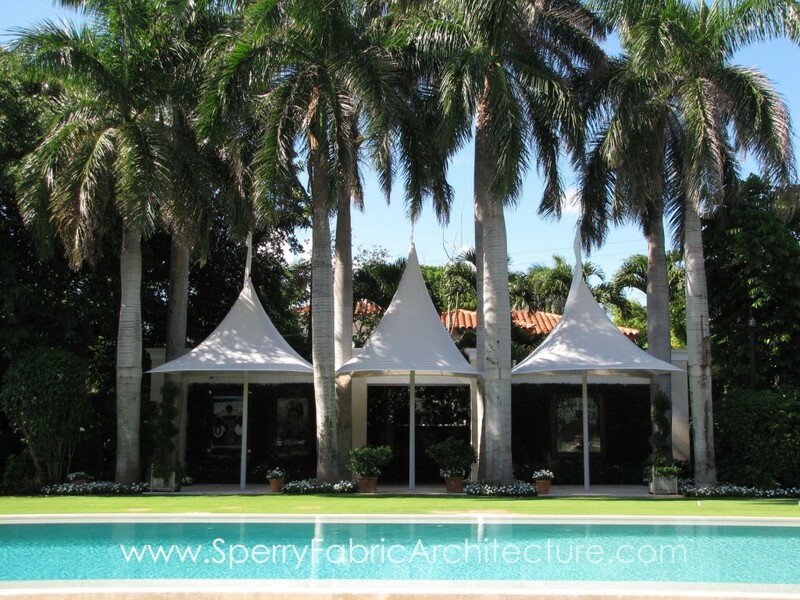 We used Sunbrella® for this canopy, a classic marine and awning cloth ideal for use in long-term outdoor structures. The pronged metal wheel that supports the cupola of the canopy was welded here in our shop, and a small center pole brings up the peak in the center. 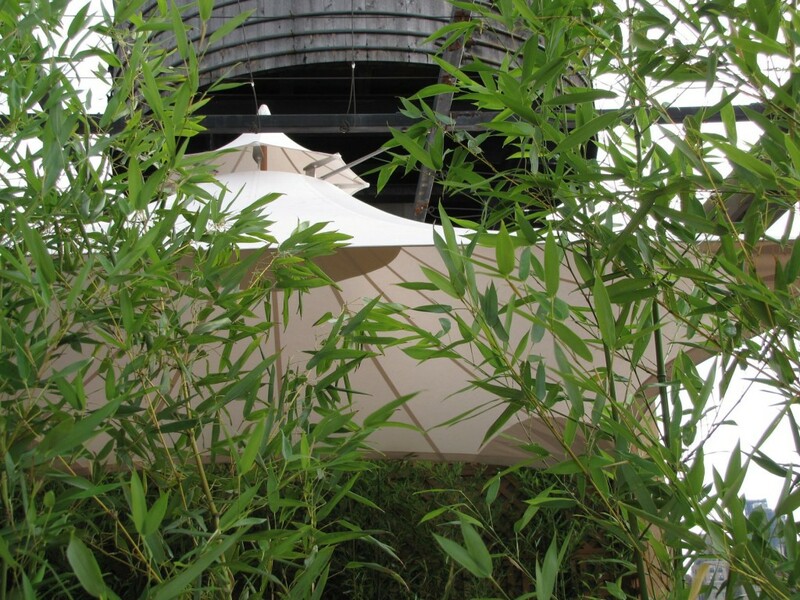 Even without the large framing structure of our Savannah series, the distributed tension and sturdy attachments are excellent in wind and weather – a gusty rainstorm passed through the area just as Matt was finishing the installation, and although the rain was entering horizontally, the structure itself was perfectly happy to stay right where it was. 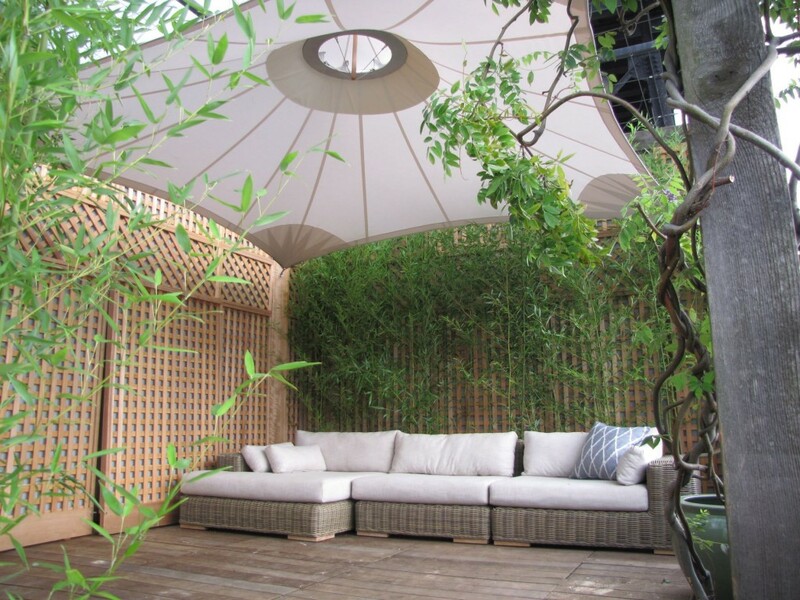 This lovely canopy is now part of a tranquil oasis in busy urban surroundings. What do you think of the new design? We are thrilled with it, but of course. . . we’re bias*. *A sewing pun! What fun! 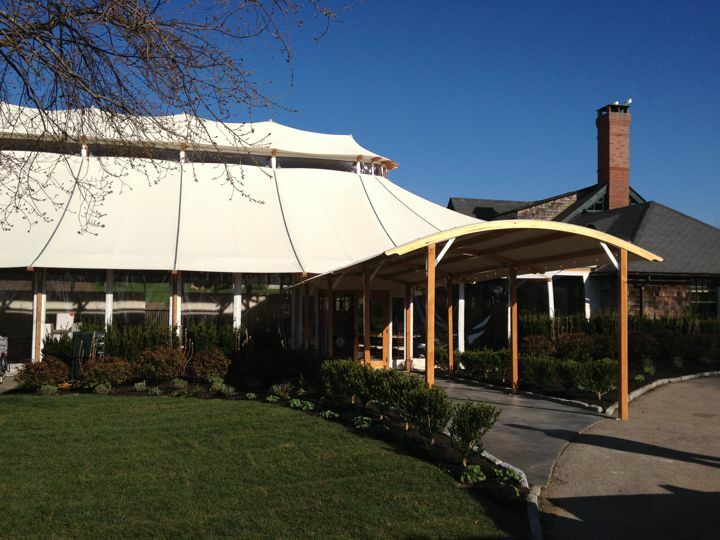 This spring we built two oval-shaped tents for Newport Shipyard in Newport, RI. 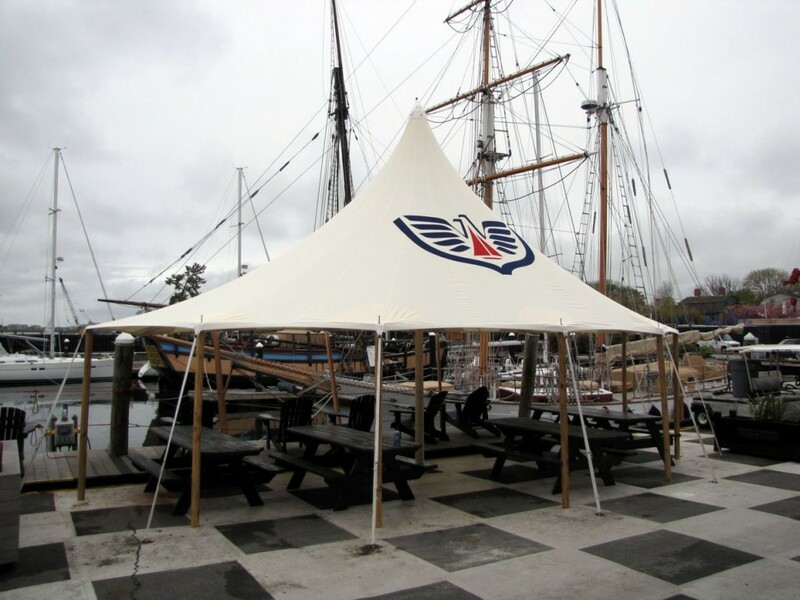 These tents have the Newport Shipyard logo emblazoned on opposing sides for a truly customized look. The tents themselves are ivory, while the logo is red and blue. The unique over-the-edge placement of the tent was a fun exercise in angled tent poles. 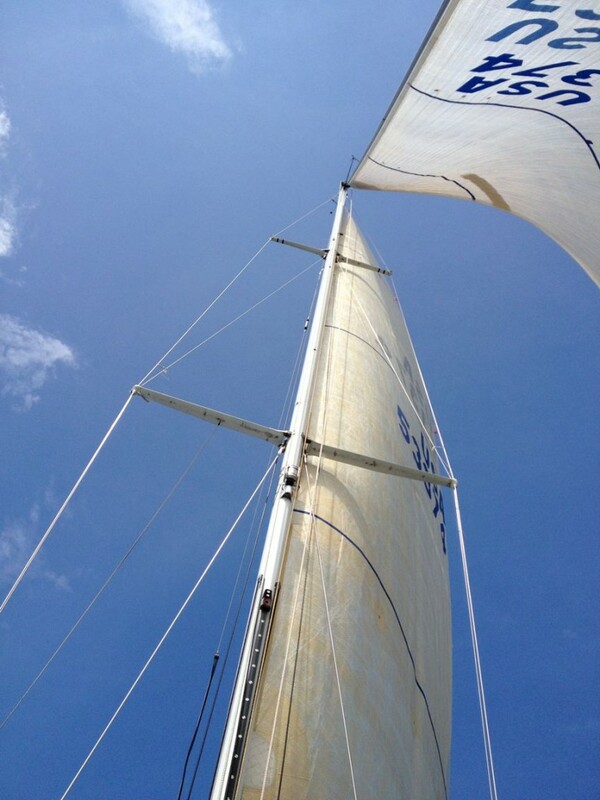 Sailors and merry-makers will have a high-peaked respite from both too-nice days and not-nice-enough-days! 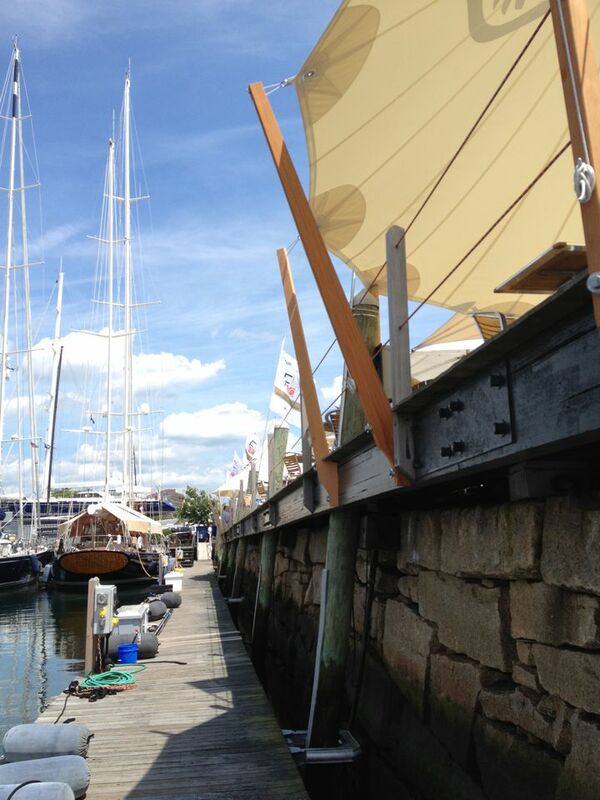 After being out on a boat all day (/week/ month/ year) I can imagine how welcome some shade on the docks will be. There is no better backdrop than some classic wooden sailing vessels, am I right? 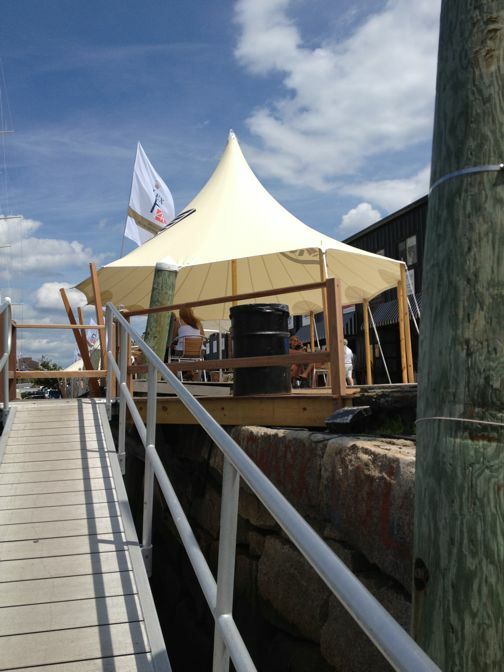 If you’re sailing by, take a peek at the new tents! And if you find yourself thinking you might need a new tent in your life, give us a call at 774.849.3505. It’s been a while, hasn’t it? It’s the busy season (still! ), and this is the busiest year we have ever had. Here are some shots of what we have been doing lately. 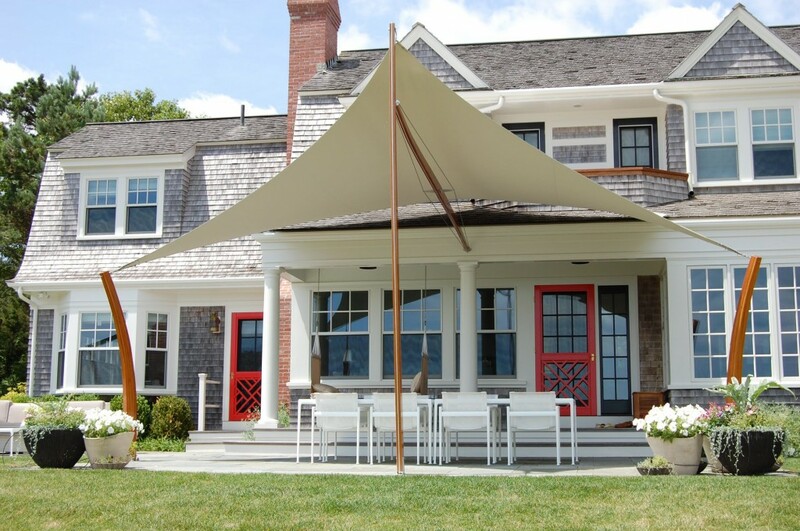 A brand new awning - one of our favorites! 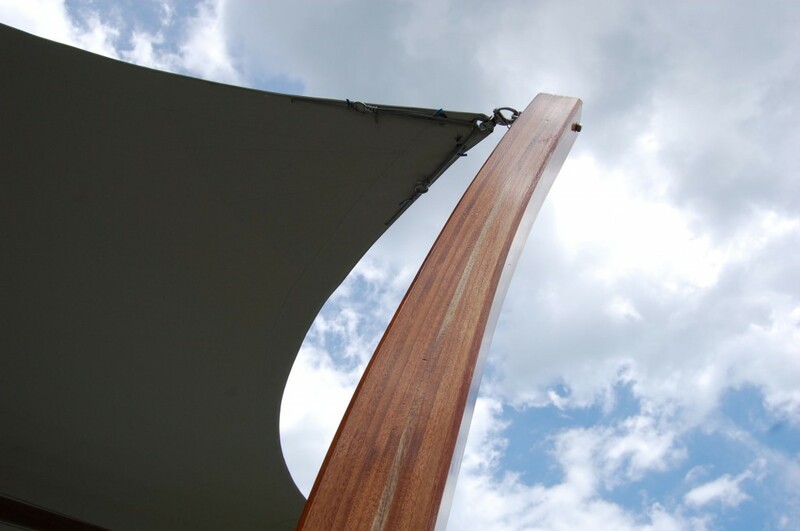 Mahogany spars and Herculite Natura cloth. Happy Friday. It’s windy today, but the sun is shining. We heard a rumor that it might freeze tonight, so bundle up after the sun goes down!